Performance Distributors now offers a small diameter high performance electronic ignition system for Chevrolet engines that do not have the clearance for a D.U.I. Due to the large size of the DUI, it will not fit applications utilizing a blower, tunnel ram or where the engine is too close to the firewall. This put our engineers to work using a smaller diameter distributor. The results were the Tri-Power Ignition System. 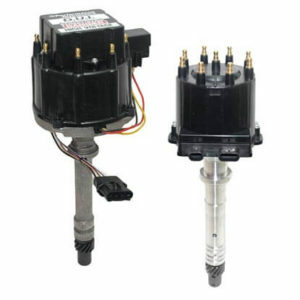 The Tri-Power ignition system features our Dyna Mod (HEI style) electronic module mounted externally to a remanufactured Chevrolet points style distributor housing. The system also includes our high voltage “Inferno” coil which is mounted externally from the distributor. The Inferno coil allows spark plug gaps to be opened to an incredible .055″. Each Tri-Power distributor is custom tuned on a distributor machine based on your cam duration & lift, compression ratio, octane of fuel and vehicle weight. A super smooth advance curve will eliminate engine damaging detonation, provide instant throttle response and produce maximum power throughout your entire rpm range. With the combination of the Inferno coil and Dyna Mod module, you will notice quicker starting, smoother idle and more horsepower up to 8500 rpms!. 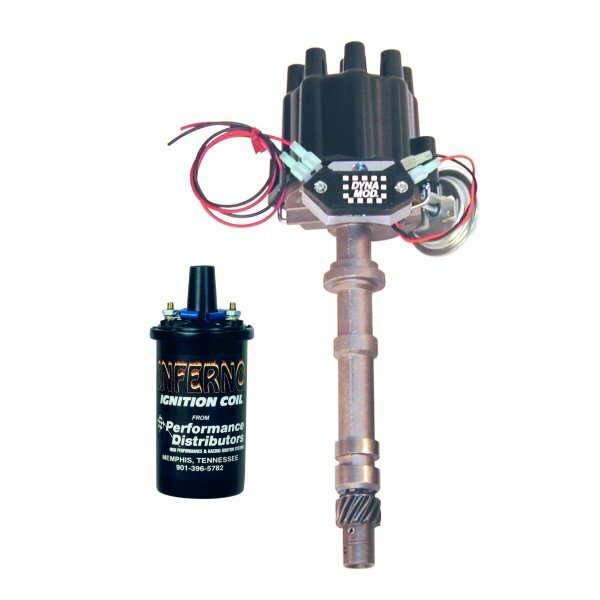 The Tri-Power ignition system is also available for other GM applications. Please call 901-396-5782 or email us for information and availability on Tri-Power systems for Buick, Oldsmobile, Pontiac and Cadillac.